Famous for its lively apres ski scene and authentic alpine villages, Austria serves all whether its child friendly holidays your looking for or off piste skiing. Don't forget the wide variety of thermal resorts for healing holidays. Tucked away against the beautiful Gastain backdrop, the lofts seem to have their own aura. At night the lofts are a warm place where in witch you want to sit around the fireplace with good wine, friends and family. Build with wood and glass, an eye for luxury and well-being make DasPosthotel the ultimate place to become one with nature. The Tennerhof is great in being cosy, classy and culinary. Expect an elegant, luxurious Austrian hideaway in the chic and livelty resort of Kitzbühel. Think of wooden tabletops lit with dripping candles and an interior designed with great respect for Austrian charm merged with today's highest luxury standards. Rigele Royal is indeed what the name implies, expect the royal treatment a homelike spirit and Austrian Charm, ideally located in the picturesque village of Obertauern. 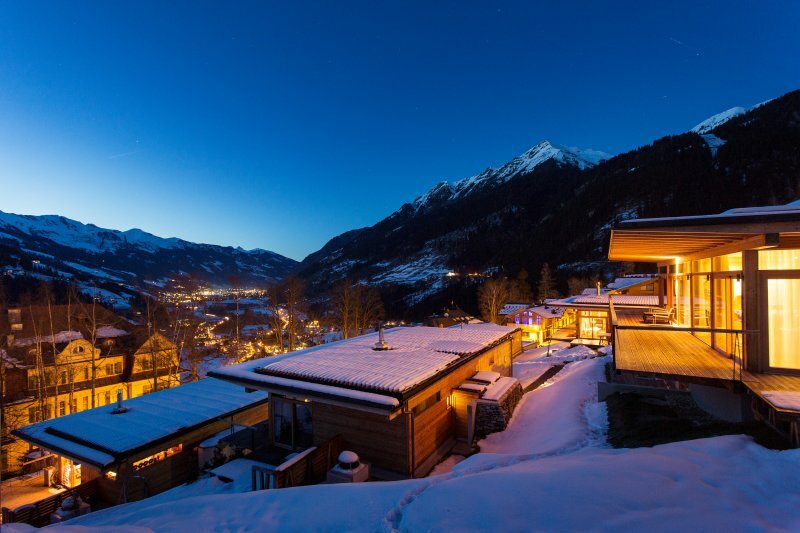 The HochLeger actually forms three type of luxury, eco-friendly, awarded chalets that all share the same DNA, high altitude luxury with a stunning panorama. The Forsthofalm is a very cool, eco-friendly hotel, made out of of timber, stone and glass to make it mix perfectly with the surrounding area. Not far from the former Olympic city of Innsbruck, the ZillerLodge is carefully tucked away in the elevated breathtaking Ziller Valley. The Alpenhof is just as charming as the rest of Flachau and its surroundings, the wellness area is one of AlpineBookers favorites!